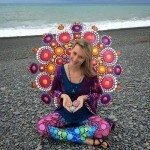 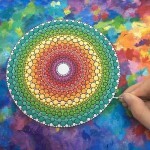 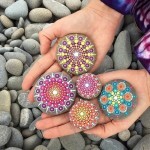 Australian born artist Elspeth McLean, who now lives in Canada, creates hypnotically beautiful and colorful stone mandalas. 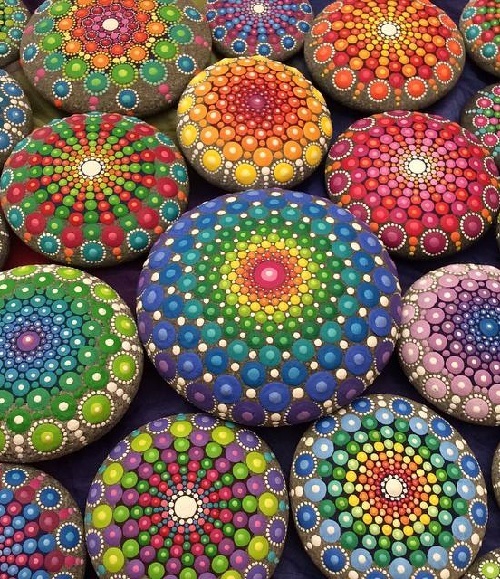 Experimenting with thousands of colored dots and circles she expresses herself, and celebrates the colors of her soul and spirit. 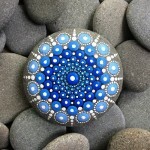 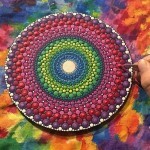 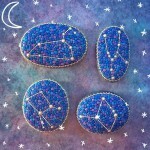 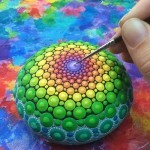 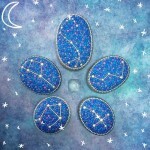 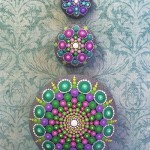 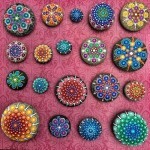 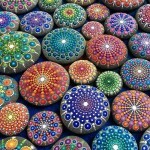 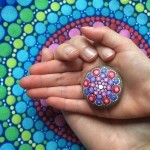 The artist believes that such mandala stones can soothe the soul and fill the inner world with bright light. 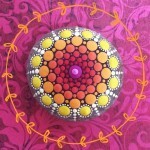 “My art is result of a love to experiment with color and pattern. 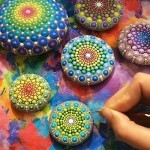 Creating is a way for me to express the colors of my soul. 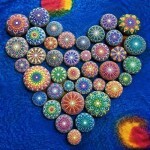 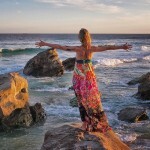 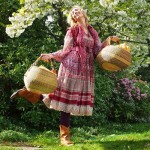 All I’m doing is trying to live my life and art authentically peace”. 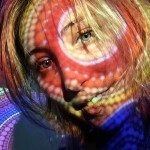 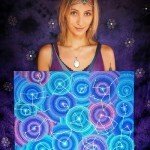 According to the artist, she uses color as a way to express herself and celebrate the colors of her soul and spirit. 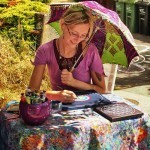 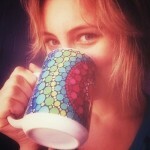 In addition, she hopes that her artwork can encourage others to do the same. 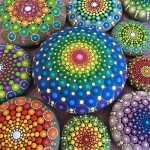 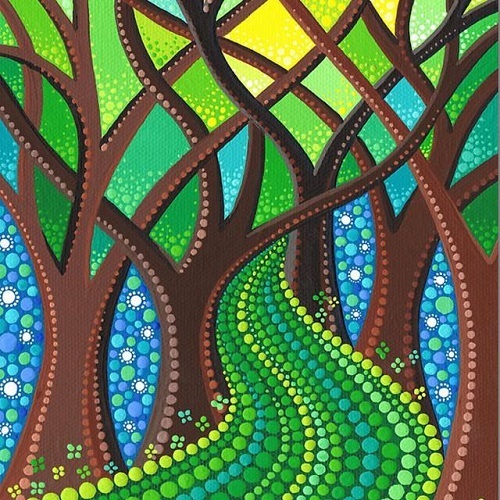 Besides, the artist believes that the use of dots and circles in her artwork come not only from a space of meditation but also because circle is the symbol of unity and infinity. 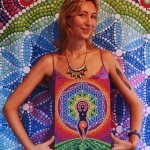 And even leggings are mandala painted!